COMEDY. Three exhausted drama teachers find themselves stuck in a precarious position...they have to cast for the role of Puck in “A Midsummer Night’s Dream” but they only have three students to choose from. The students vying for the role all have major negatives, but trying to decide which student is the best of the worst is the hardest job of all. 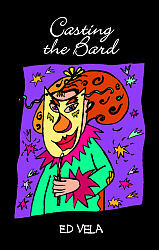 Included in the short play collection "Casting the Bard."